Push marketing can be a form of disruptive marketing as it relies on proactively promoting a product to potential buyers in any way deemed suitable. This involves setting up distribution channels and/or negotiating with intermediaries and retailers to sell your product through their outlets. 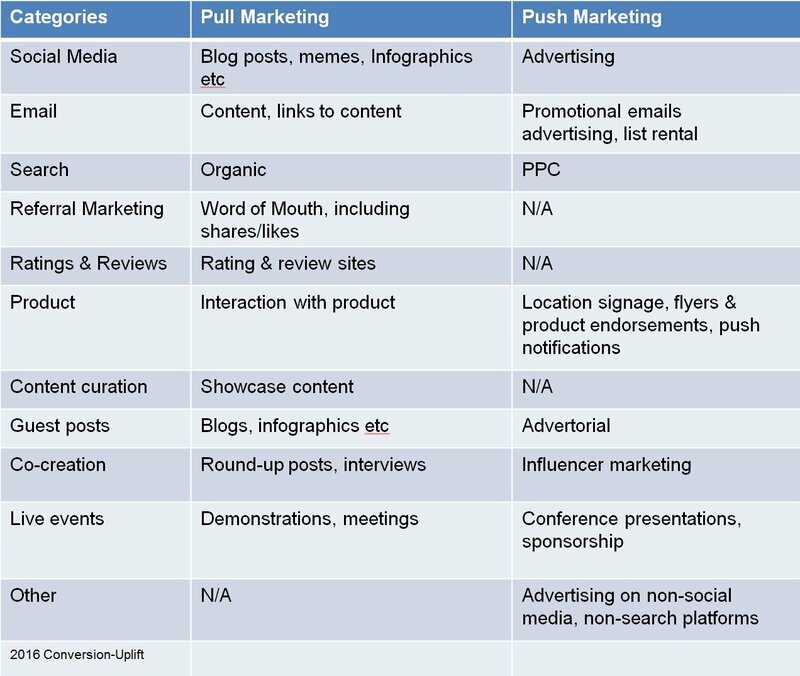 Examples of push marketing include direct sales (e.g. in retail outlets and telephone selling), trade shows to promote demand from retailers, point of sale displays and packaging design. Also see pull marketing. Word of mouth – 6 myths about word of mouth marketing. Social media – How important is social media to a brand?